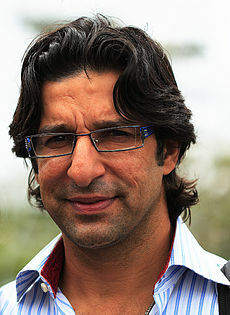 His full name is Wasim Akram Chaudary, His nick name was Sultan of swing, two w's with waqar younas and king of swing. 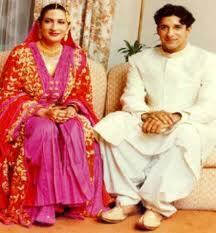 Wasim Akram was born at 3, June, 1996 at Lahore. He is a former Pakistani left arm bowler and very useful and aggressive left-handed batsman in cricket. He represented Pakistan National Cricket team in both form of cricket i.e test cricket and one day international matches. Wasim Akram is one of the best fast bowlers in the cricket history. He holds the World record of most wickets with 881 and is second only to Muttiah Muralitharan of Sri Lanka in terms of one day international wickets with 502. Most importantly he is considered to be the founder the finest expert of reverse swing bowling. He was also one of the five members included in ICC Cricket Hall of Fame on 30 September 2009. During his professional career he bowled with genuine speed and hostility. Akram was a man possessed of accurate control of line and length, accompanied by seam and swing bowling skills, extended to both inswingers and outswingers. With a very rapid bowling action, he could bowl equally well from both sides of the wicket. His mastery of reverse swingwith the cricket ball meant he was at his most dangerous towards a bowling innings, and earned him the nickname of one of the "Sultans of Swing", the other one being Waqar Younis.